Toward the end of this month, the 10gb bandwidth limit on free on the http://www.box.com account was exceeded, so none of the downloads worked. For now I have moved them to a new dropbox.com account which has larger bandwidth allowances. In the future I will also be splitting the rigs into separate zip files(instead of all ages) to reduce amount of unwanted files downloaded. The links on the download page have already been updated. You do not need to re-download if you already have the rigs/plugins. They have not been changed in any way, just relocated. Just remember when you upload, to remind your downloaders that they need to update their pose player to use the pose. This is a minor update. I have added new baby social rigs(a2b, c2b, p2b, etc. ), and also saw a post by Ballantyne about the frames per second. The current version of the pose player still does not support posing babies, but I have spoken with CMO and it will soon. You can still pose babies using the methods described in orangemitten’s tutorial here, but the social rigs are provided for convenience. Blender defaults to 24fps, but sims runs at 30fps, so to make things more convenient I updated the .blend files to default at 30fps. 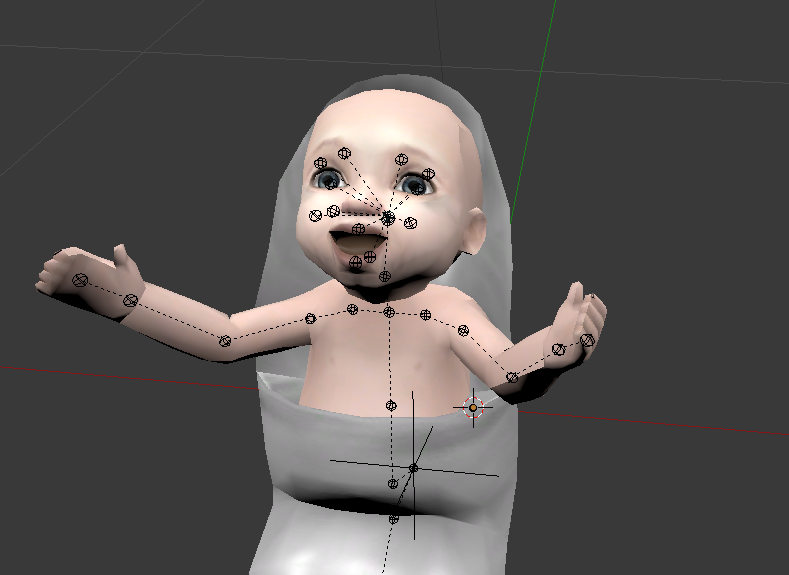 You need only update if you want to make baby poses in an easier way, or if you want to make animations without having to manually set blender to use 30fps for animations. A minor difference that shouldn’t affect anyone is that the downloads are no longer hosted at code.google.com. Due to abuse at google’s code site, they are removing hosting from google code for downloads. They recommend google drive, but that requires a login with google, so I am just biting the bullet and switching to box.com which requires no login. Google will continue hosting downloads until January 2014, but I think it’s better to switch now than later. I will look at alternative sites to host the code, and will strive to never require signup/login for any downloads. If it comes down to it, I will just buy a server for the downloads. As far as I know, blender 2.68 will work for posing/animating, but loading custom CAS parts or props will still end badly. I would recommend that you not update blender beyond 2.67, though it may well work fine for you if you are just using the standard rig files and not customizing them. 2.68 version of Blender seems to break things with importing meshes. This is the mermaid top from island paradise EP, but it seems the new blender changed things in a way that breaks mesh importing. I haven’t re-tested in-game a pose or animation from blender 2.68, but for now i would say do not upgrade. Minor update here to fix some problems with the latest blender and loading props. If you update your plugins, remember that now they are for Blender Blender 2.6.7b and up, and I would recommend updating your Blender as well. There are also a few changes that let you load extra morphs on CAS parts if the BGEO is included in the package(this is still an experimental feature).